Oh, happy Sunday Guys! 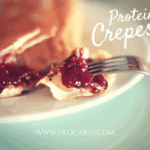 Want a recipe for awesome, healthy protein crepes? I hear from so many of you that you want family-friendly recipes you can feed your growing children. When I had my protein baking company (that’s why it says procakes.com in the picture), my customers would often tell me they would use my mixes for their teenage boys who were into sports and ate non-stop. The protein in the recipe base kept them fuller, longer and also helped keep their energy levels sustained and even as there’s no sugar in the recipe. 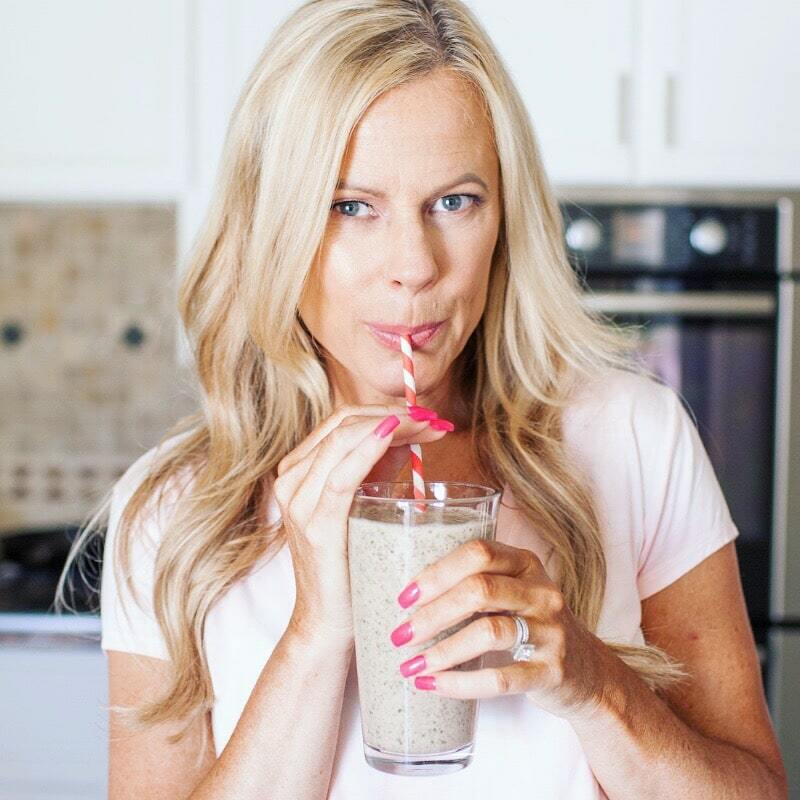 When I created the product, I had fitness folks in mind, but I was so glad to hear that moms were making great use of it too. Also, diabetics loved the recipe because it doesn’t spike insulin. 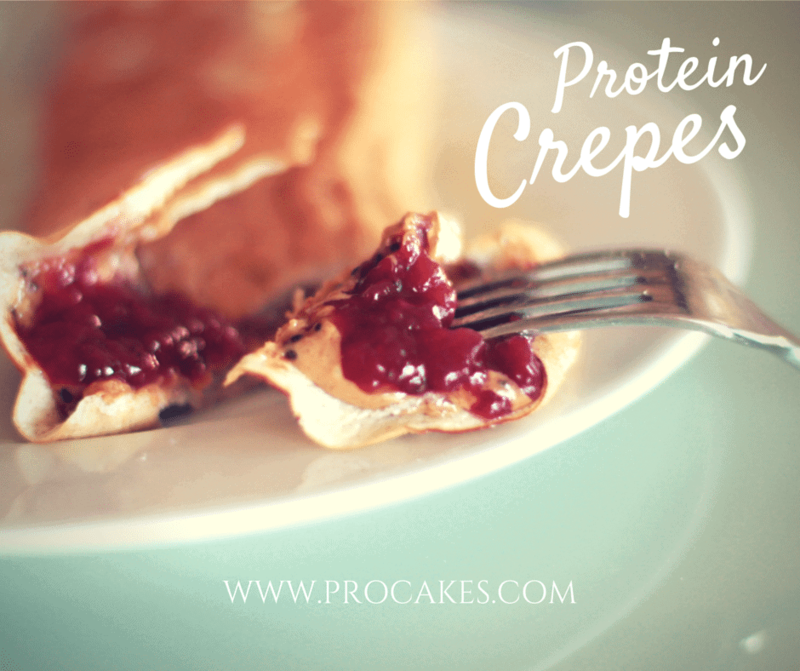 The thing I love about protein crepes is that they’re like little dessert-like roll-ups. You can eat them sweet or savory, but of course, I’m a fan of sweet options. I never really got the point of savory crepes. I love them with Walden’s sugar-free pancake syrup, which I know, isn’t exactly a “whole food” (not even close, really), but I like it. I also love them with my superfood nut butter and my sugar-free raspberry compote. You seriously can’t go wrong with these crepes and it’s hard to screw them up, too. The trick to not to flip them too early in the cooking process, or they will turn into a pile of mush. Make sure you see lots of bubbles on the top of the crepe before you flip and never rush the process. 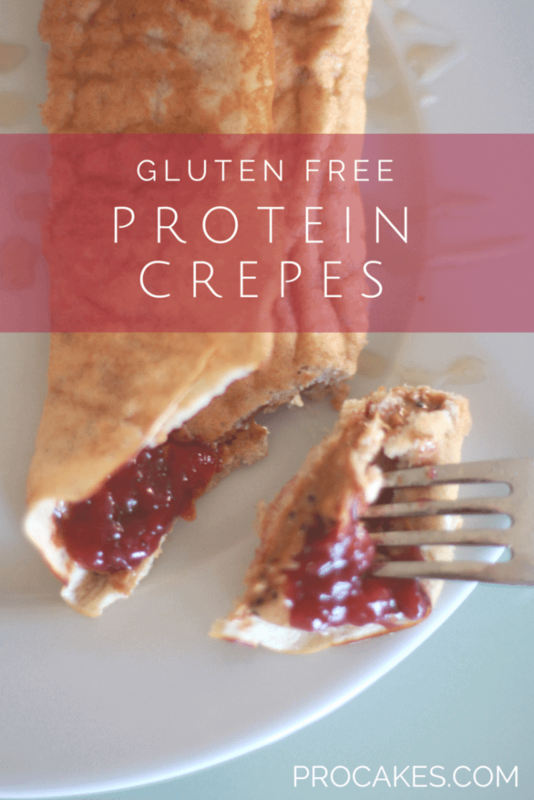 Gluten, dairy, and sugar-free, these crepes are simple to make and easier to eat! They're a hit with kids, and the extra protein keeps them well fed for hours. Mix ingredients together in a small bowl. Ensure there are no clumps. Heat up a skillet (or two) ?? and add coconut non-stick spray. Coat generously because these babies are delicate. Pour a small amount in the skillet that only covers the bottom of the pan. Let cook until sides look almost crispy, then do your best to flip!! !